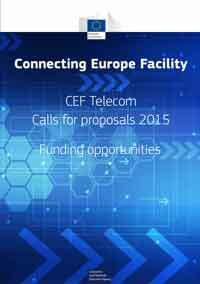 The 2015 CEF Telecom calls awarded up to €45.6 million in the form of grants managed by INEA. A specific call for Europeana of €10 million in 2015 is managed by the European Commission. The grants under CEF Telecom will help European public administrations and businesses to hook up to the core platforms of the digital services that are the object of the calls (see list below). Consult the announcements in the Official Journal in all Member State languages: Call 1 - Call 2. For any specific questions concerning the call, check the call FAQ or contact the call Helpdesk. A Virtual Info Day was organised on 23 November for all potential applicants. You can find all presentations and the recording of the sessions online.